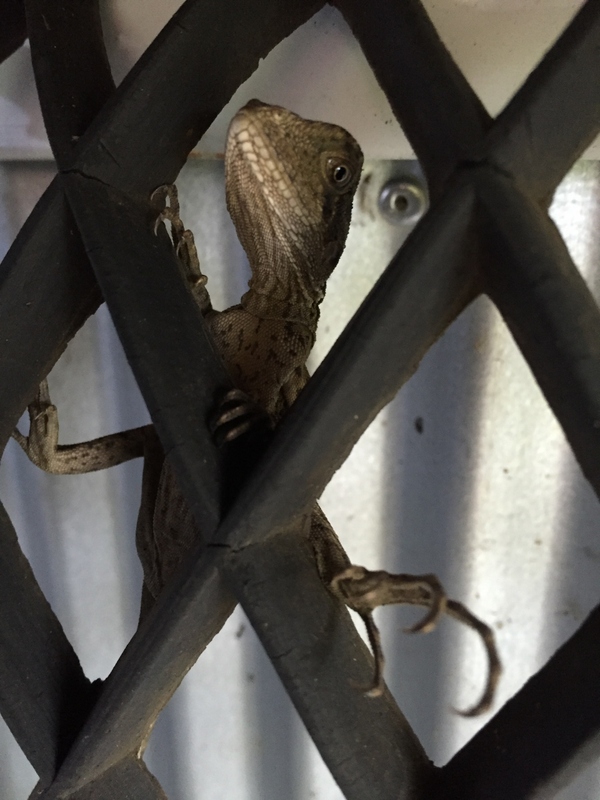 What do Water Dragons want … ? Eastern Water dragons are not uncommon around here, so I was pleased but not surprised to see one in my garden shortly after I moved in. Unfortunately the noise and stress of my renovation was probably too much for this reptile and it wasn’t long before it disappeared. Over the years I have added no fewer than five ponds and bird baths to my garden, and I have to admit to being a bit miffed that none of them seemed to appeal to Water dragons. I realise that I might be a bit biased but they look pretty appealing to me. So it’s a little ironic that yesterday I discovered a baby dragon living under the mat in the empty bath on my side deck. Not a water plant or even a drop of water in sight. That shows you how much I know about creating aquatic wildlife habitat!